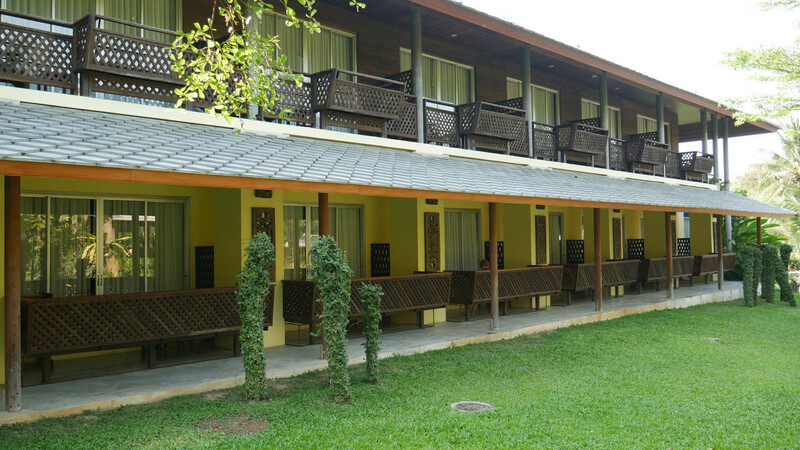 Royal River Kwai Resort Kanchanaburi - Beside the Kwai Yai river located 8 kilometers from Kanchanaburi town. 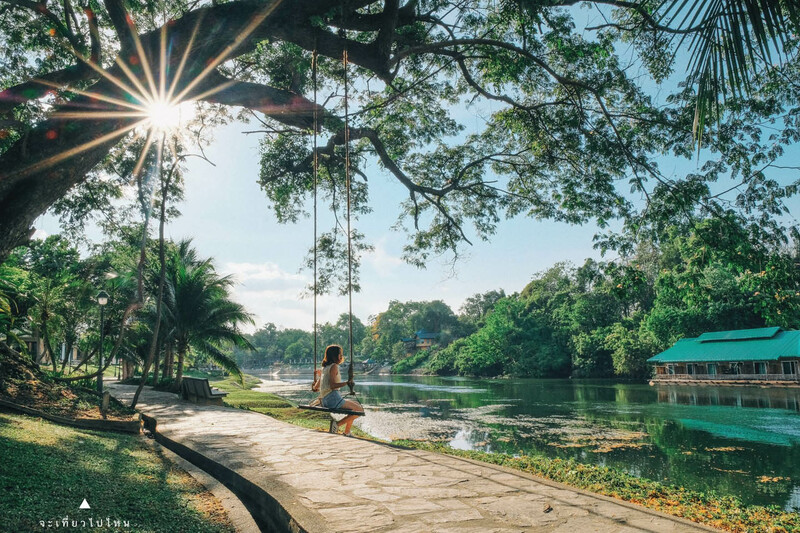 Ideally located on the banks of the Enchanting River Kwai, it is one of the well -known addresses in the province, offering unique experience and relaxation of the mind, body and soul. Our garden designed in a natural tropical style filled with lush decorative tropical plants in harmony with the environment. Indulge in pampering yourself at The Rantee Spa located within the sprawling gardens and beside the river. 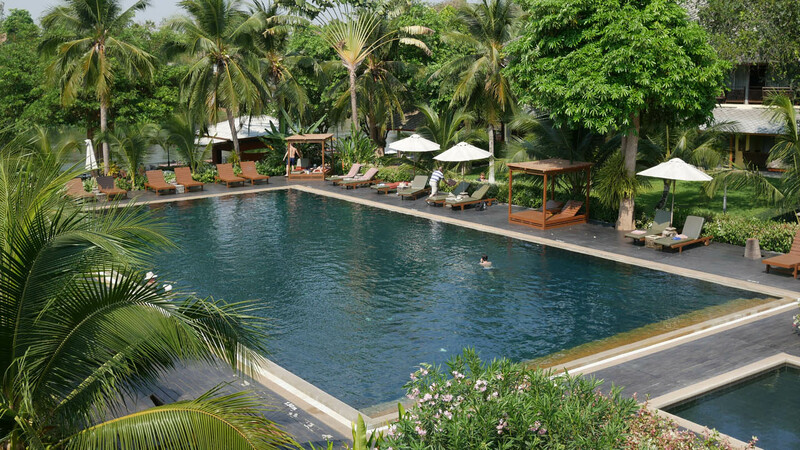 Providing free Wi-Fi and daily breakfast at the Royal Restaurant, it features an all year- round sizeable outdoor pool surrounded by tall majestic palms and a pool bar. Picturesquely built within the impeccable landscaping, each unit designed with an elegant Thai inspiration. 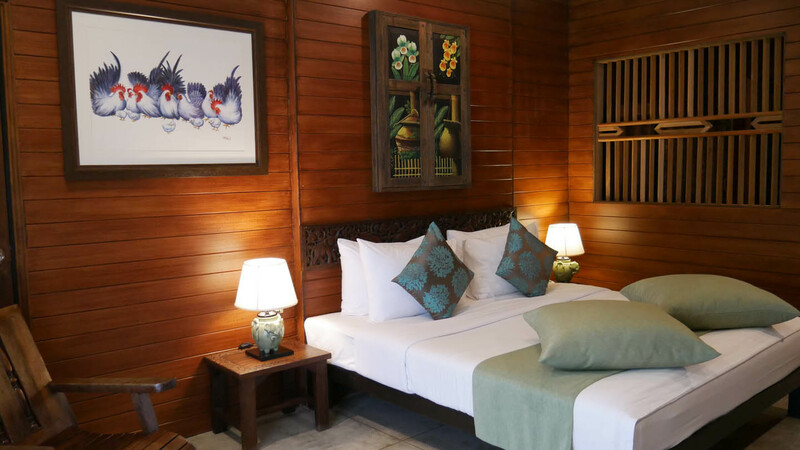 The warm brown hues of the wooden wall, furniture and balconies overlooking the tropical greeneries, providing guest with the feel of a warm traditional Thai home. 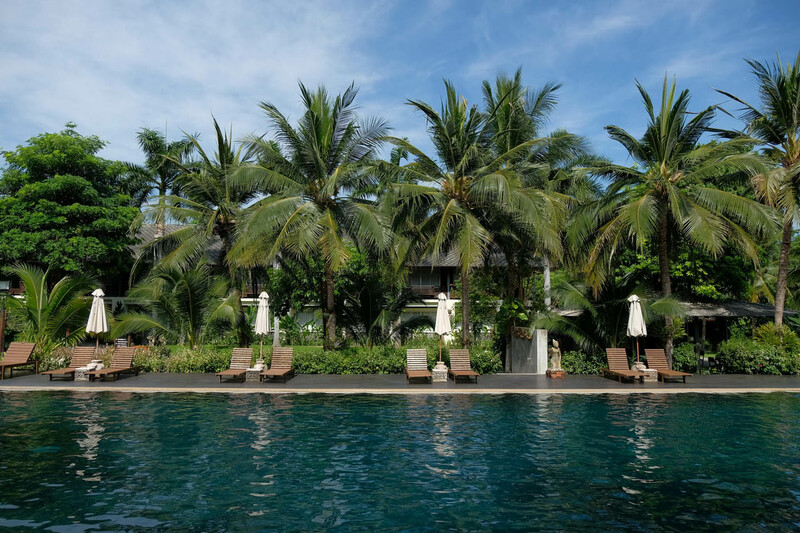 Each designed with an elegant Thai inspiration and with a balcony overlooking the impeccable tropical landscaping. 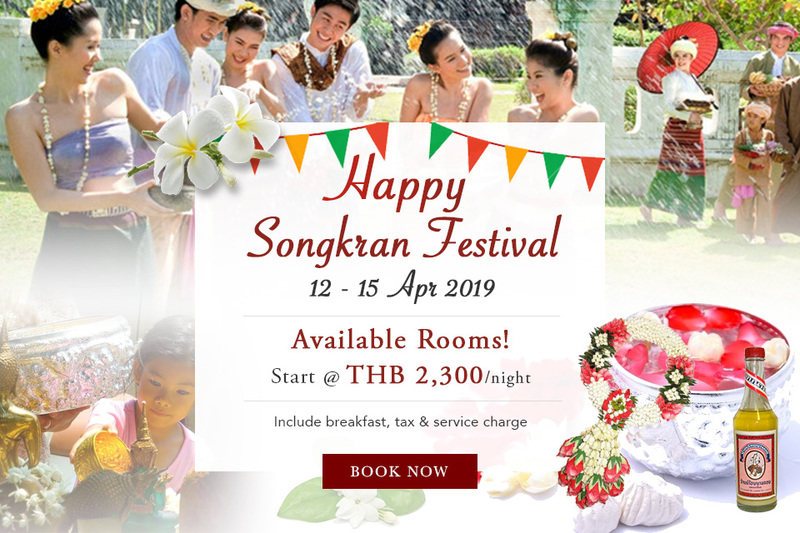 Remark: Room rates for Long Weekend; 7 – 10 Dec 2018, 5 – 7 Apr 2019, 17 – 19 May 2019, 26 – 28 Jul 2019, 9 – 11 Aug 2019, 11 – 13 Oct 2019. A riverine resort paradise built amidst a lush sprawling and fully manicured garden, designed to pamper every guest with a magnificent pool, serving authentic dishes by respective restaurants to meet every taste buds and expectation. The prime restaurant built over the enchanting River Kwai, mesmerizing guest with a spectacular sunset view and enjoying the rest of the evening with delicious meals cooked to perfection and live easy listening entertainment by our in-house singer. Both local Thai and other International are served, cooked to perfection, deriving from authentic cooking skills by our team of creative chefs. 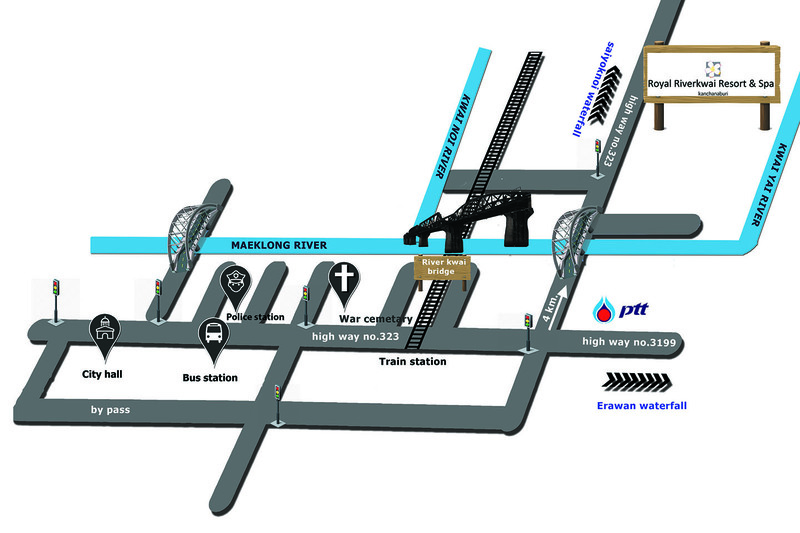 Daily breakfast served from 07:00 hours – 10:00 hours.